I don’t know how often you are back here to see it but the number of homeless on the streets has increased massively here too. It’s awful. I have not been to Scotland for a while, but I have heard about it. Pretty grim. Good, heartfelt thoughts Ronnie. Yes, the homeless are from all backgrounds and walks of life. I would love to see organizations and governments create more training and housing developments to help those in need, to create their own livelihood. Those with means can make it happen but I’m concerned there is not sufficient care and love in the world. Social cleansing in places like London, to make way for rich people, is manufactured homelessness. The changes to the welfare system in the UK ensure that there will an increasing amount of homeless families. You are right about those with the means can make it happen, but in a lot of cases they are a big part of the problem, not the solution. Beautiful post Ronnie. We count our blessings. Homelessness is a universal problem. Even the wealthiest countries have people dying on the street, children homeless. This is a wonderful post drawing awareness to the situation. 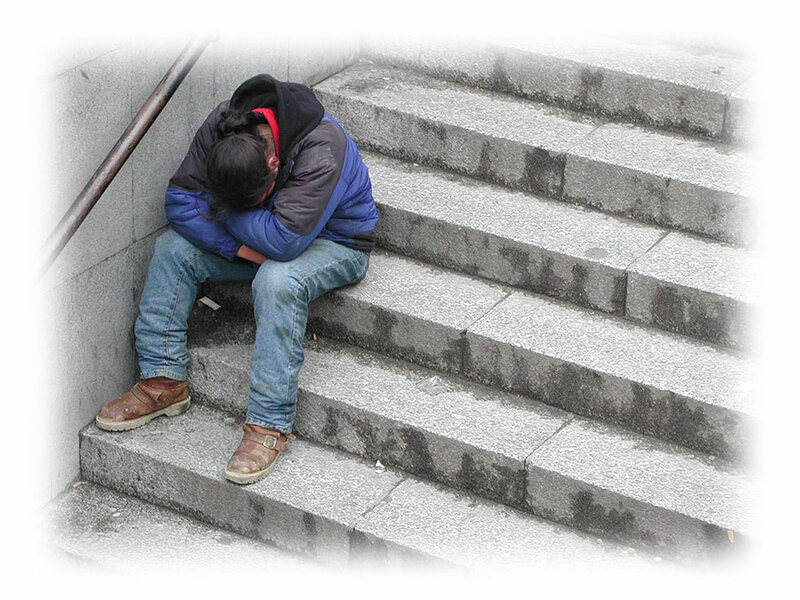 There’s a blog here At WP “gotta find a home” by Canadian Dennis Cardiff dedicated to helping street people. Thank you, Hollie. I am familiar with Dennis’s poetry and I just checked out “gottafindahome”. Much to the astonishment of English friends, I had difficulty in the past getting a flat (apartment) to rent in England because of my accent. An English friend phoned a number for a flat where I had been told that it was no longer available; the woman on the phone invited him to come and view the property. This was not an isolated incident. In Southern England having a job, car and money in the bank is of no consequence if you do not speak with a suitable accent. There’s so much bigotry in the world Ronnie, and fear. There are laws against such actions here but since Trump opened the door to hatred it is a real struggle (not that prejudice hasn’t always been around ) . We have to resist and fight for equality and human rights. Human rights in the UK have been getting eroded for a long time, although a lot of people seem to be unaware of this. We have had protection under the European Convention of Human Rights, but once we leave the EU that will no longer apply of course. The Tories intend scrapping the UK Human Rights Act 1998. The smoke-screen of Brexit has been used for a power-grab of the devolved powers of Scotland, Wales and Northern Ireland.